The science of pharmacognosy, which identifies and isolates “active” constituents from plants, considers that most herbal medicines contain phyto-chemicals which are chiefly responsible for the therapeutic activity of that plant. From a classical herbalist’s point of view the whole herb acting synergistically in the body is what constitutes the therapeutic activity of a plant medicine. However the pharmacognosy view becomes very important when it comes to herbs and swabbing. There is a veritable Pandora’s box of compounds in the herb kingdom. Just as a small example – more than 6,000 plant alkaloids have been isolated, mostly in flowering plants. The total constituents of all medicinal herbs included in Eastern and Western herbals probably number in the billions. From this example alone it becomes clear that it is beyond the capacity of any laboratory to conduct regular testing for the presence of “active” constituents chiefly responsible for the therapeutic activity of herbs commonly given to horses. There is a huge difference between feeding dried herbs and administering liquid herbal extracts orally. In regard to swabbing the main thing to be aware of is that dried herbs can be contaminated by other plant material, such as poppy seeds and green tea. There have been cases of positive swabs being returned from both these plants. Green tea is high in caffeine and poppy seeds contain the opiate morphine. Liquid herbal extracts of human medicinal quality used for therapeutic purposes by practitioners like myself, are tested and have guaranteed provenance so there is no risk of contamination. New protocols are developed from time to time to discover metabolites produced from herbs and drugs with stimulant, narcotic or analgesic effects. However this is not announced to competitors, owners, managers or their veterinarians. They find out when the first positive swab is returned! Eminent Australian veterinarian Dr Glenn Robertson-Smith branded equestrian drug rules a farce in June 2005 when he compared the World Anti Doping Code Prohibited List International Code for human athletes with FEI rules for equine athletes. In an article published in Equestrian Life Magazine he said “…this is a comprehensive document clear, precise and simple because the WADA has specifically targeted drugs which influence or affect performance. This list differentiates drugs from normal therapeutic drugs and does not try to ban every drug that has ever been manufactured.” By comparison he said “The FEI rule has been drafted to be all inclusive and to that end it is effective. In fact according to this rule, sunlight, water and lucerne hay are all prohibitive substances because they have pharmacological properties in their action on the body systems such as the nervous, digestive, and urinary systems. WHAT A FARCE! The FEI is the international federation controlling the Olympic sports of dressage, showjumping, eventing and endurance. National organizations affiliated with the FEI control these sports at a national level and similar rules apply to official and unofficial levels of competition. All the other horse sports have their own controlling bodies such as the racing boards for flat and harness racing, as well as many show horse and breed organizations and agricultural show societies. While they all have different swabbing rules – some have none – they do have one thing in common – all swabs taken at their events still go to the same Government approved laboratories. Most of the time the organization has little or no control over what is or is not swabbed for, some of the swabs are never tested. Since at least 2000, Valerian, White Willow, Kola, Kava and Guarana have been prohibited under racing rules. Valerian is used by many competitors as a calming herb. It is a strong anti-spasmodic and should not prescribed or recommended by the author for use in competing horses. Kola and Guarana are both similar to caffeine being heart stimulants, dangerous if over used and addictive. Kava is a sedative. 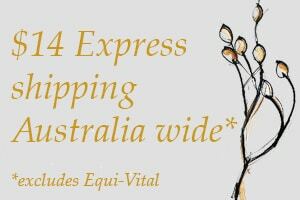 None of these herbs are prescribed or dispensed by responsible or knowledgeable practitioners treating horses. White Willow contains salicylates which have analgesic, anti-inflammatory and anti-pyretic activity, similar to Aspirin. Salicylates are widespread in plants including lucerne. The use of Meadowsweet or White Willow orally or the topical use of Wintergreen Oil as part of a hoof or healing oil preparation could return a positive swab, IF salicylates were being tested on that day. So how can competitors make sense of swabbing rules? Not by reading them, that is for sure. Because the various controlling bodies of some sports know they cannot effectively control the use of herbs, for the reasons already outlined, they publish deliberately confusing “information” about herbs and swabbing to try to discourage their use. This is very confusing to most competitors who want to do the right thing by their horses and also want to obey the rules. It is also exploiting the lack of knowledge on this topic by the average competitor who will more than likely never attend an event where swabbing takes place anyway. For example many competitors believe that if a horse has received one swabbable product once it will return a positive swab forever !! This is not true. However different drugs and herbs have different withdrawal periods. Little testing for withholding periods in herbs has been carried out but from some tests and empirical observations 48 – 72 hours is likely to be a safe with-holding period. Forms of administering herbs may change this. The above periods refer to oral dosage with liquid extracts but dried herbs may be longer, due to the fact they take longer to be metabolised by the body. Essential (volatile) oils, a common constituent of many herbs, if used on their own, are absorbed through the skin and mucous membranes or through the olfactory pathways within minutes. Many commonly used commercial topical preparations contain essential oils like menthol and/or camphor which are absorbed through the skin. According to British herbalist Hilary Page Self a 10 day withholding period is required by UK Jockey clubs for essential oils. Another question of extreme importance in swabbing is the fine line between herbs which are both feeds and medicines. No drug can ever be regarded as a nutrient. Nutraceuticals such as MSM, chondroitin and glucosamine are allowed, and will not return a positive swab and yet there are many herbs which carry out similar functions in a preventive nutrition role, just as, if not more effectively and definitely less expensively. Some commonly used herbs are feeds as well as medicines, this was determined by the horse during its evolution! Meanwhile the use of drugs in racing worldwide has reached scandalous proportions. It is common knowledge that the authorities are always a few steps behind the drug cheats. A comparison of these kinds of practices with the use of herbs, a natural nutrient and medicine for the horse, to maintain and restore their natural level of performance or provide preventive nutrition is odious, discriminatory and irresponsible and the motives behind it must be questioned. At the FEI General Assembly in November 2009 new rules on swabbing were introduced, including raised allowable levels of salicylic acid. The new list of several thousand banned substances, names only three constituents found in herbs – Valerianic acid which is contained in Valerian and Crampbark, Capsaicin found in Cayenne pepper, and Salicylic acid found in small quantities in White Willow, Wintergreen , Lucerne, Yarrow Meadowsweet & Red Clover. This despite wide publicity for months prior to this assembly from the British, American and Australian federations that the use of any herbs in any form was considered consistent with being a drug cheat, and which then went on to name a comprehensive list of commonly used herbs, in such a manner as to imply that they were or would be banned. This has not happened! 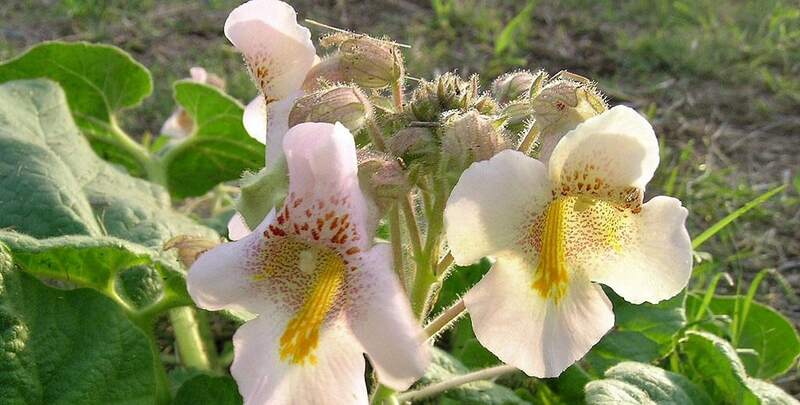 The herb Devil’s Claw requires special mention, it has very effective anti-inflammatory & pain relieving qualities, and a test has been developed for Harpagoside, the so called active constituent. And I agree, if a horse needs any level of pain relief or anti-inflammatory affect, it should not be competing. Not so many years ago, the FEI rules exempted herbs that horses might naturally graze in their fields or pastures. It seems the long arm of the global pharmaceutical companies now influences the politics of equestrian sport. 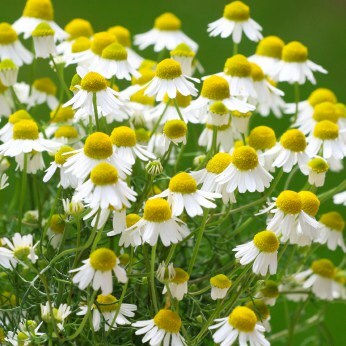 It is popularly regarded that Chamomile will swab – not so – no constituent of Chamomile is on the FEI list & I have known of many horses being swabbed with Chamomile in their systems, and they have never produced a positive swab. 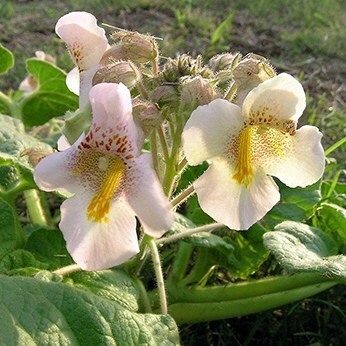 Devil’s Claw is a most effective anti-inflammatory and pain relieving herb and therefore quite rightly a test has been developed for the presence of Devil’s Claw in a horse’s system. The active constituent Harpagoside is the marker that will produce a positive swab. This blog is an update from a chapter in The Complete Horse Herbal.